Rhapsody With Blue - 2015 — Stacey B. 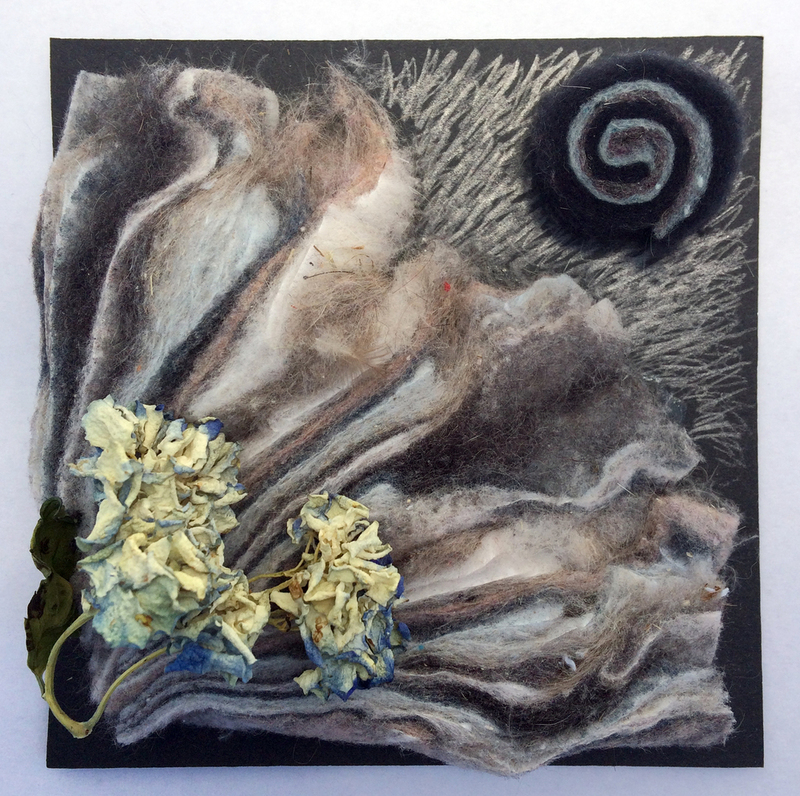 A series of eight small works created Spring 2015. 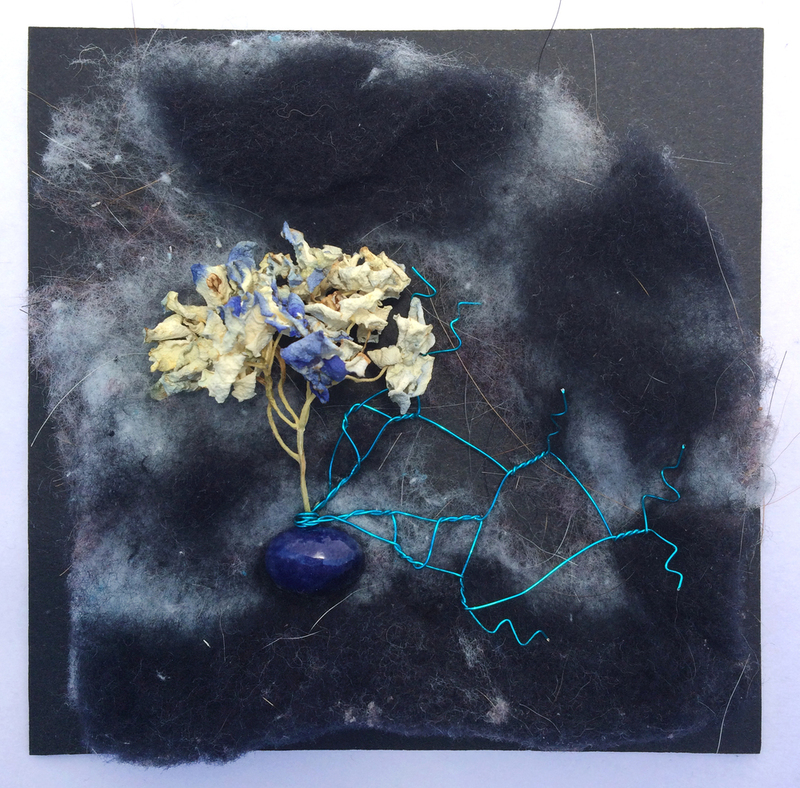 Each piece includes dried blue hydrangea sections and parts of two distinct lint sheets with textures and colors that influenced compositional and thematic arrangements.